The SUCCESS Summit brought together over 80 leaders from different sectors throughout Dona Ana County to create an collective education agenda that would rally the community around supporting our children from pre-natal to career. The main outcome of the event was a series of goals, or outcomes, such as high school completion, bilingual education, and increased student and parent voice, which the entire community can agree are essential for our children’s success in school and life. Partnership Chairman Bill Soules also spoke to the attendees and answered questions about the recent legislative session. The majority of the 5 hour morning session was dedicated to a focused dialogue around the question: “In the next 10-15 years, what signs of success will demonstrate a world class education in Doña Ana County?” The discussion around this question was moderated by professional facilitators Eunice and Sherwood Shankland, from Shankland Associates. After this consensus workshop, there were two simultaneous afternoon work sessions. One session was a group of participants focusing on articulating and recording the goals agreed upon in the morning session, and the other session was a group of participants discussing how the partnership can measure the goals so as to ensure continuous progress and improvement. The SUCCESS Summit built off of a year of community engagement on behalf of the SUCCESS Partnership, which was launched publically on March 1, 2014. 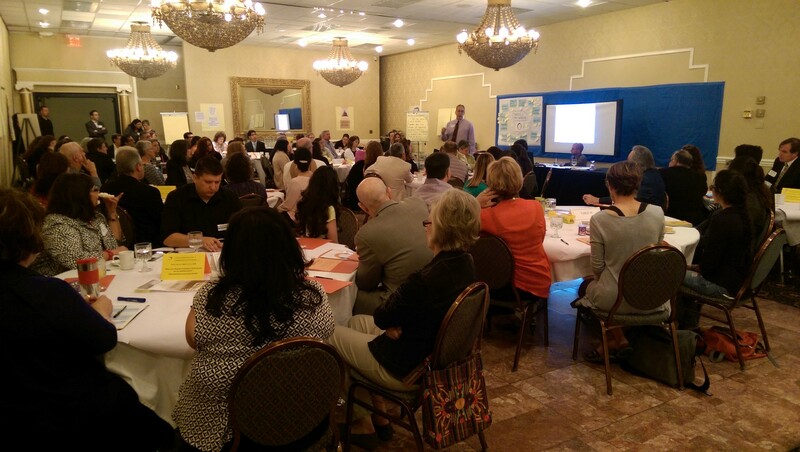 After the 2014 launch, representatives and staff of the partnership spoke with over 1,000 parents throughought Dona Ana County, as well as students, teachers, and community leaders, all in preparation for the Summit and the development of the Community Agenda.